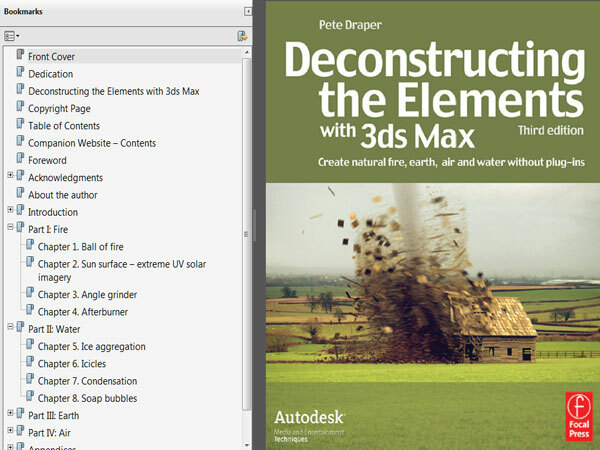 Third Edition: Create natural fire, earth, air and water without plug-ins (Autodesk Media and Entertainment Techniques) This new edition boasts all new tutorials. All editorial content is updated to be current with the current version of 3ds Max. The book is very easy to read, and even those who are relatively new to 3D packages will be able to quickly grasp the underlying concepts behind what the book offers.. Guest, 2015-02-26 01:46:22 Found it.. Guest, 2015-02-26 01:45:25 Can't find download link. Please explain without saying - check download link. Remember, I can't locate the download link. Czes, 2014-05-20 07:06:40 Very good!